We are dedicated to using civic education and leadership development to shape the public narrative about what it means to be Muslim in America. 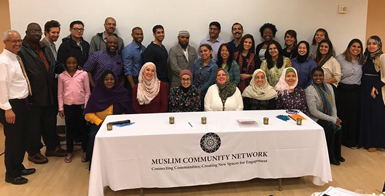 MCN’s vision is to help facilitate the emergence of a Muslim-American identity that transcends generational, ethnic, gender, racial, and class-based boundaries. We hope to achieve this through programs and initiatives focusing on Civic Education, Leadership Development, and Diversity Education.